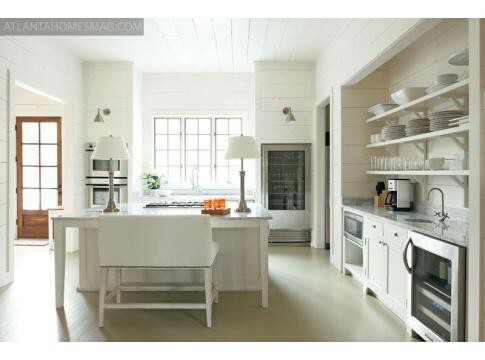 Do you like open shelving in the kitchen or would you prefer upper cabinets? 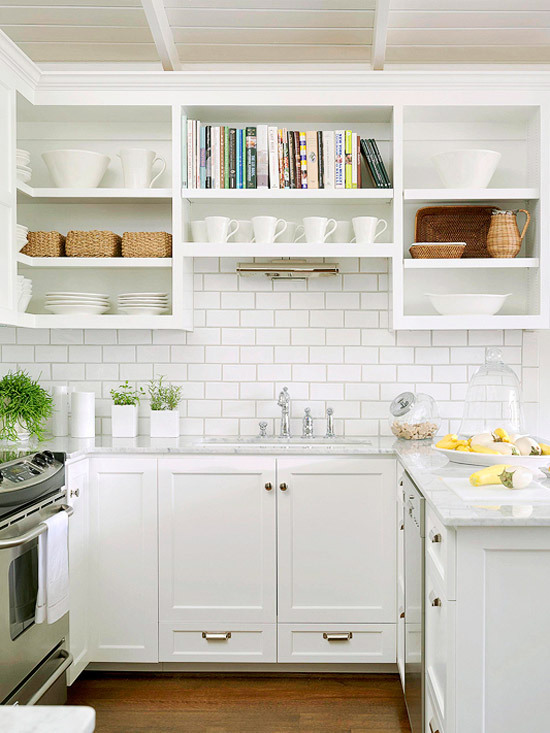 We are definitely seeing more open shelving than ever, even if it's just mixed with upper cabinets. I know it's not for everyone, you'd definitely have to be diligent about keeping the shelves organized and nice looking or else your kitchen would always look messy. I love the open look! If you have enough storage space in other areas of the kitchen I think it's a great way to get a beautifully open and airy kitchen. Can you tell me what type of stone/material is on the countertops in the last kitchen photo?